Webmasters always works hard to drive traffic to their website even while sleeping, dreaming of different ways to increase there website traffic. Website Newsletter is one such important way to tell your users about the new contents/information/promotional offers in your website. Other important thing during the email subscription is, it should be very easy in view of visitors such as taking only email id. Here i will be telling you the step by step procedures. Requirements : Mailman and if you are running WordPress then MailMan Widget. 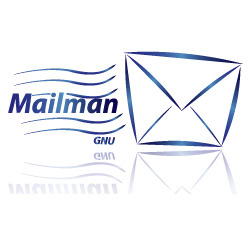 Step 1 : Configure mailman which is a very popular newsletter sending tool. For mailman configuration, please look into the mailman documentation. 1. Enter a valid MailMan Admin URL on the plugin admin page (“Settings” >> “MailMan Widget”). 2. Once you add the Mailman Admin URL, you can configure how your widget look like as shown in the below mail. Step 3 : Once the Widget is installed, you can enhance the Widget look and feel as done below. Enjoy the users subscribing to your newsletter mailing list and happily send them your website contents/information/promotional offers any for that matter.